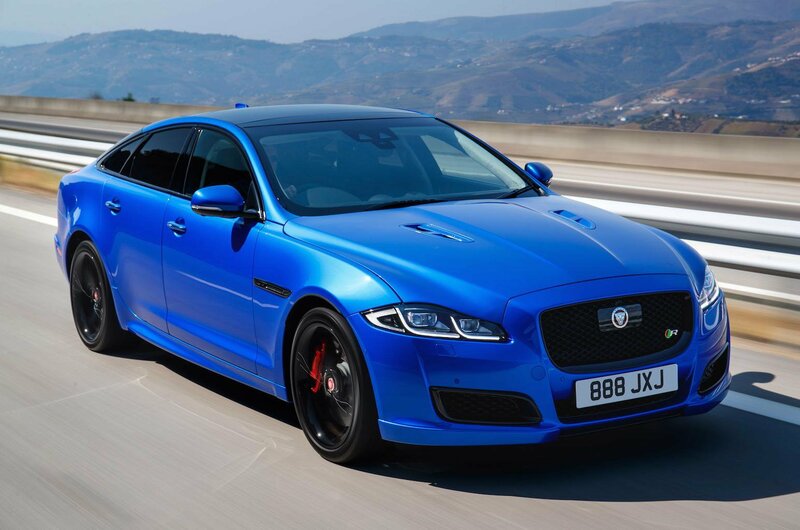 2017 Jaguar XJR 575 review - price, specs and release date | What Car? With the launch the new Range Rover Velar, the unveiling of the Jaguar E-Pace and the announcement of an innovative new racing series, it’s safe to say that it has been a busy old year for Jaguar Land Rover. Gone are the days when the company was treading water just to stay afloat; JLR is now in fine health, with a series of cutting-edge, electrically assisted models on the horizon. But don’t go thinking that Jaguar has abandoned what it has always been famous for – namely, creating high-powered, luxurious, rear-wheel-drive saloons. First seen in camouflaged guise going up the hill at this year's Goodwood Festival of Speed, this new (and we use that world very lightly) XJR 575 is the most powerful version of Jaguar’s flagship saloon to date. It uses a retuned version of the F-Type SVR’s supercharged 5.0-litre V8 engine, which produces a whopping 567bhp and 516lb ft – around 25bhp more than the outgoing XJR. A 0-62mph time of 4.4sec and a top speed of 186mph are some way off the class best (the BMW 760Li xDrive reaches 62mph nearly a whole second faster), but the XJR 575 makes do without the help of launch control or four-wheel drive. 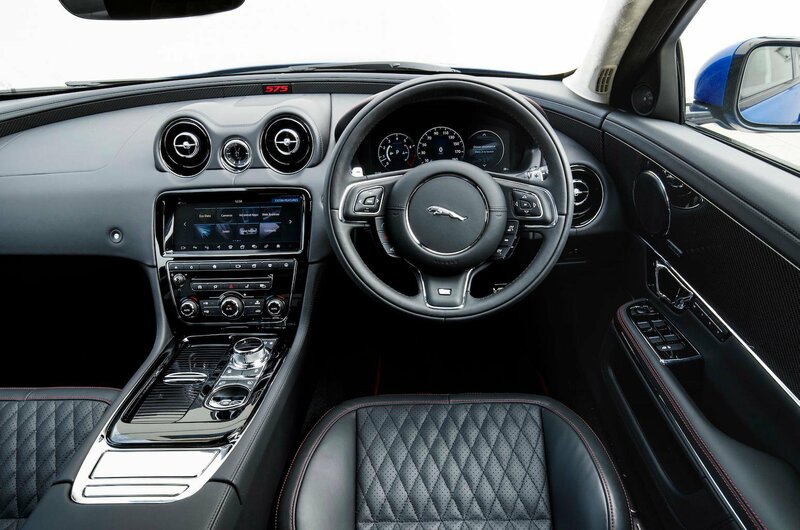 To differentiate the 575 (575 denoting the car’s power output in PS) from other XJs, the design team has incorporated a number of tailor-made design details for this low-production model. These include a more aggressive front bumper, curvaceous side sills and a subtle rear spoiler. Twin bonnet louvres and 20in gloss black alloy wheels complete the understated yet menacing look. The 575 also benefits from a wider series of updates that are being introduced to the entire XJ range as part of a late-life refresh, including full LED headlights, so-called ‘J-blade signature’ daytime running lights and updates to the infotainment system, helping to bring the saloon in line with the broader Jaguar range. But are these updates enough to keep what is, in effect, an eight-year-old car competitive in an increasingly competitive market? With BMW, Mercedes and Porsche all producing four-wheel-drive, turbocharged (and, in the Panamera's case, electrically assisted) super-saloons, the XJR 575 represents the end of a wonderful and wild era. 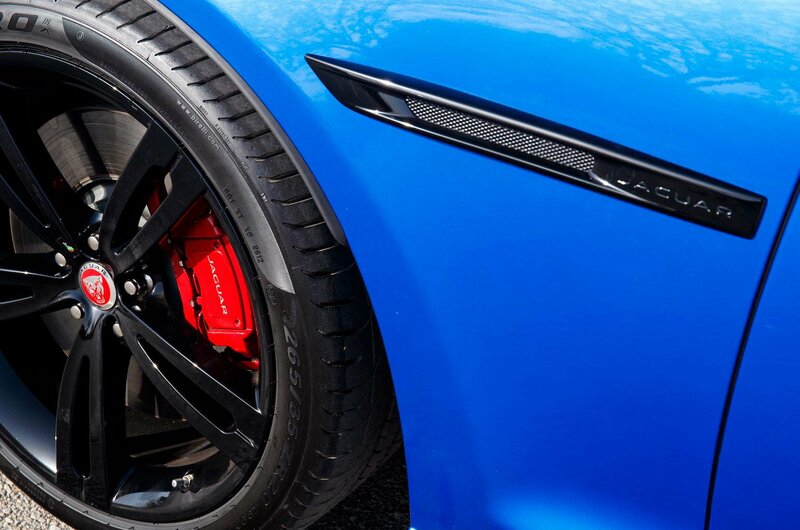 ‘Responsible performance’ is now the order of the day – a memo that Jaguar must have missed, because, instead of taking this opportunity to dial out some of the XJR’s wilder characteristics, it's simply accentuated them. Like handing Liam Gallagher another pint mid-gig, everything about the XJR has been turned up to 11. Step inside, press the bright red starter button and the supercharged V8 bursts into life with an intensity that is often missing from modern-day turbocharged engines. It’s a real brute of an engine that is absolutely brimming with character; at low speeds, you’re treated to a lovely V8 warble that's soon joined by a delicious, high-pitched wail from the supercharger as the revs climb. It’s an intoxicating soundtrack that is backed up by prodigious levels of performance. With plenty of low-down grunt, it’s all too easy to overwhelm the rear wheels, especially if you have the traction control switched off. 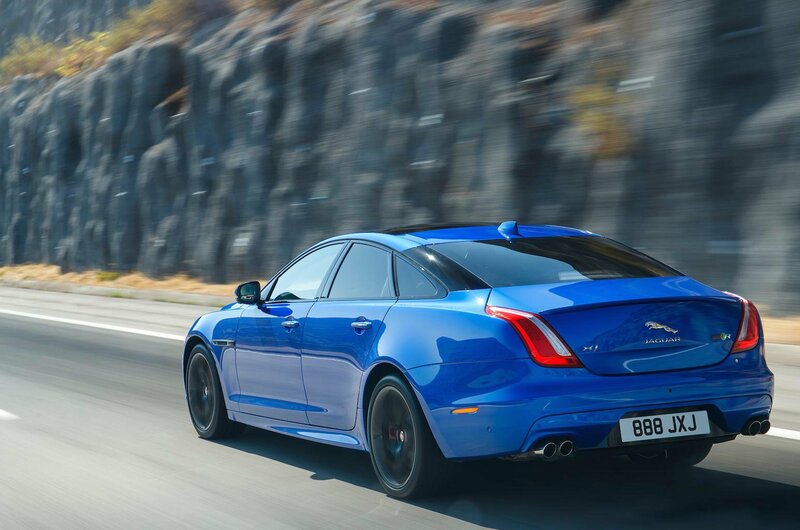 At first, this can feel a little disconcerting, but with time you learn to trust the big Jag – its long wheelbase ensuring that slides happen slowly and controllably. Before you know it, you’ll be playing with the throttle through long corners, the rear happily carving an angle wider than the front. It’s addictive, childish, raw fun. But as they say, you don’t get something for nothing, and so it is here. To get the 575 to handle like a car half its size, the adaptive suspension is set up to be a little on the firm side. The result is an awkwardly inconsistent ride, with the 575 jittering over cracked road surfaces and the occasional expansion joint. Both the Mercedes-AMG S63 and BMW M760Li work far better as continent-crushing luxo-barges. The XJ's interior is looking a bit dated these days next to newer rivals, but it still has a wonderful ambience. Up front, the diamond-quilted seats (embossed with some questionable '575' branding) come with a wide range of adjustment, and those in the rear are treated to plenty of leg room; there’s little reason to opt for the long-wheelbase variant. The new 10.0in Touch Pro infotainment system is also a vast improvement over the current XJR’s dated touchscreen, with quicker response times and clearer graphics. That said, it still feels a little clumsier and less finessed than Audi’s or BMW’s systems. Quality is also a little lacklustre. Start prodding around and you’ll be surprised at just how much hard, rather cheap-looking plastic is used for the centre console and the lower parts of the dash. The controls also feel a little low-rent; buttons squeak and the column-mounted stalks feel like parts-bin specials.